Updated Thursday August 9, 2018 by Waxhaw Soccer Club. our 7U, 8U, 9U recreational players. For players and families that are looking for more competitive and detailed soccer training, Pre-Academy is a program that was created to bridge the gap between Recreation, and our Academy and Travel programs. This is our 3rd season, and due to great success, we are looking to expand the program to more of our age groups. separate registration for each season). feel free to contact Faisal Akar (faisal@qcspeedandagility.com). All 2010, 2011, or 2012 birth year players are welcome to register. - Every Friday from Sept. 7 th – Oct 28th. 1. Complete regular rec registration and payment for 7U, 8U, or 9U age groups for the Fall 2018 season. 2. Register and pay ($95) for Pre Academy (Fall season) via a separate registration link (RED button on http://www.waxhawsoccer.org/site home page -- register under camps and clinics). 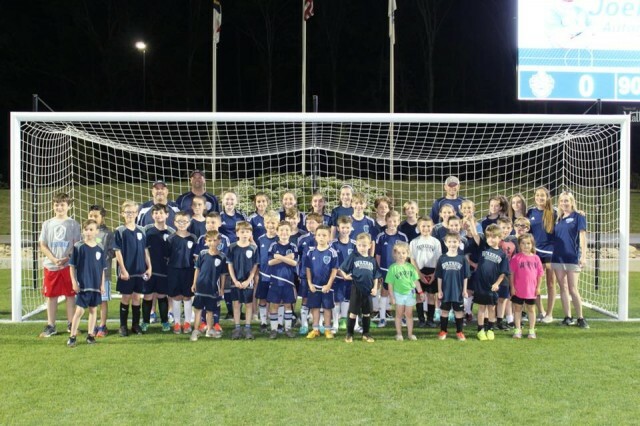 We anticipate registering as many as 70 players based on the success of last year’s Pre Academy program, which placed nearly all of its registered players into our Academy program, a competitive tryout-based program within our club. All who register and are rostered into our Pre Academy this fall ($95) will be given a discount for registering in the spring ($75). Additionally, we will be completing the Pre Academy roster on a first come, first served basis this fall. We advise registering as soon as possible to secure a position. If you have any further questions, please contact Faisal at faisal@qcspeedandagility.com.